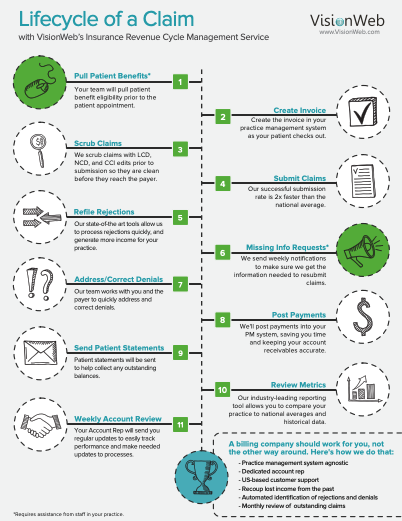 To give you a more visual representation of the path of a claim when it is processed electronically, we put together an infographic to show you just that. Here we explain everything you need to do as well as everything our Revenue Cycle Management team handles for you. Check it out below to see the Lifecycle of a Claim. If you want to know more about our processing claims or increasing your claim revenue, read our free insurance kit below.